It's time for Spot's dinner but where can he be? Young children will enjoy lifting the flaps to find out where Spot is hiding! 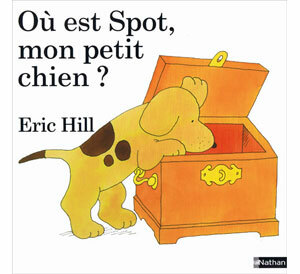 This book is particularly good for teaching French prepositions as children have to lift flaps to find out if Spot is under, behind or in various items of furniture around the house. 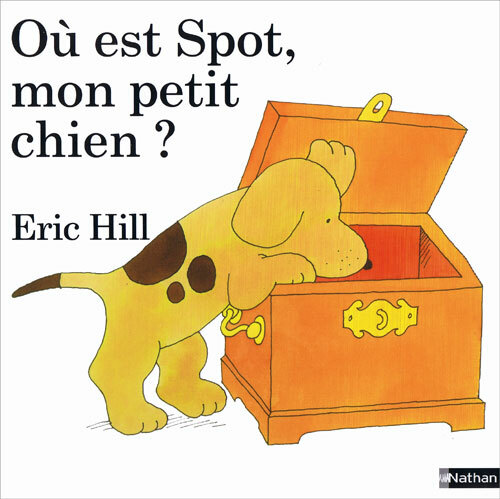 Où est Spot, mon petit chien? 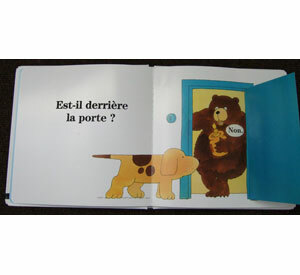 is written entirely in French but the language is fairly simple as it is aimed at young children.